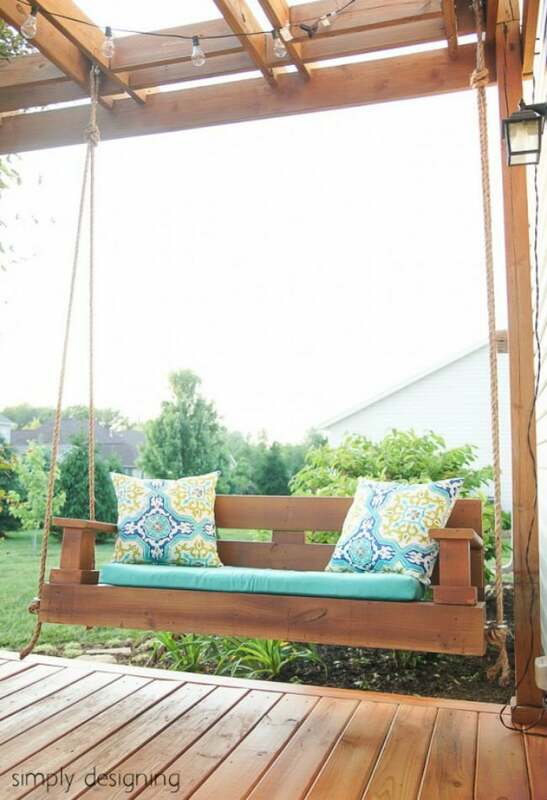 Kick back and relax with this porch swing that never goes out of style. 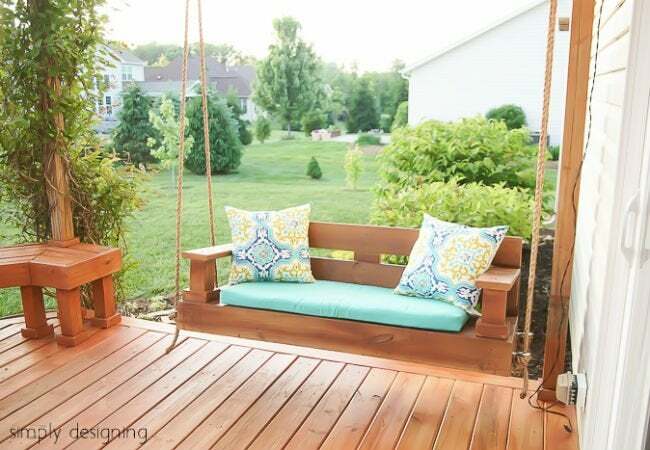 Is there anything more charming than a porch swing? Not to Ashley of Simply Designing, who decided to take apart a portion of her deck to craft a version for her own family to enjoy. Keep reading to see how a little repurposing and lot of ingenuity contributed to this amazing wood build. First, Ashley took apart the built-in bench that already sat atop her deck. Next she installed deck boards to replace any that she had removed, and then cut her recycled wood pieces to size and began assembling. After all the wood pieces were secured and the swing had taken shape, Ashley sanded the unit, sprayed it with deck cleaner, and stained it. Once everything had dried, she drilled pilot holes around the frame, and then screwed eye screws into the pilot holes. 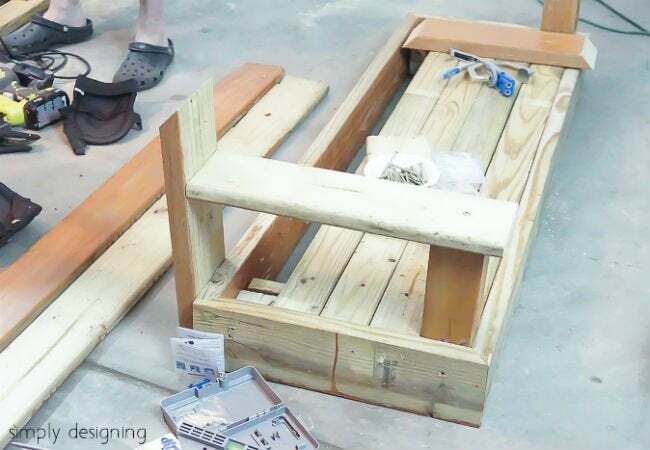 Ashley created a support system for the bench by screwing 2×8 boards into the cross beams of her existing pergola, and screwing another eye bolt to hold it. Ashley finished by looping pieces of rope through the eye bolts on the ceiling and seat, and tying the knots in place. To get the full step-by-step, and for more fun-filled projects, visit Simply Designing.